Take advantage of the lightening speed of USB 3.1 to quickly transfer files up to 10 Gbps! Connect any 2.5'' Serial ATA (SATA) / SSD or SATA II Hard Drive to your computer through an available USB 3.1 (Type-A) port on your desktop or laptop. this Adapter is a perfect solution for data transfers or data backup! * Supports Standard Notebook 2.5" SATA and SATA II Hard drives. * Transfer Rates Up to 10 Gbps when connected to a USB 3.1 port. * USB 3.1 provides data rate up to 10Gbps and is 2x faster than USB 3.0 (5Gbps). 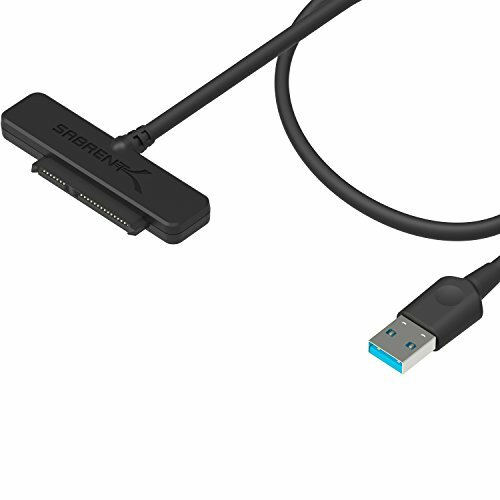 * Available USB 3.1 port (Type-A) on the computer to achieve full 10 Gbps transfer speeds. * Windows: 8/8.1/10 (Both 32-bit & 64-bit versions) MAC: OS X.